So, can you tell us what makes Shannon Thompson tick? What got you started on the path to becoming an author? My mother taught me to write in order to deal with nightmares and night terrors. If I could make stories about them, they weren’t so scary. Because of that, I’ve been writing as long as I can remember, but I didn’t take it seriously (for publication) until my mother suddenly passed away. I realized then that I wanted to spend my life doing what I love. I am working on Seconds Before Sunrise (Book 2 of a Timely Death Trilogy.) It’s expected to release this fall. Here’s the snippet from the back of Minutes Before Sunset (Book 1): In this second book of the Timely Death series, Eric is forced to face his destiny without Jessica by his side. But Jessica’s new nightmares could be the key to his survival. I generally use my imagination, but the Timely Death Trilogy was based on a series of dreams I was having at the time, hence the dreams Jessica is having in the second book. Fun fact: the second book was written first. I’ve written in a lot of genres. I’m actually a published poet, and I truly love poetry. But my novels are centered in the young-adult genre. I love writing for teens. My favorite genres are fantasy, sci-fi, and paranormal, because I enjoy losing myself to the realm of possibilities. I don’t really have a ritual, but I almost always write at night. I’m a night owl. When it comes to creating a plot, I try out as many as possible until I, in the least, come up with the beginning, the ending, and most of the places in-between. However, I am flexible, and I let my characters change the plot when they need to. My creating process includes some interesting moments, but I’d say my “Method Acting” is my favorite. I wrote about it on my website. Here’s the link. I’m not sure there are odd places to come up with storylines. The world is a fascinating place to me. I find myself constantly looking at the world as a possibility for a story. But I’ve come up with a lot of my ideas in cemeteries, hookah lounges, and airplanes. They always seem to get my thoughts racing. The voice and characters mean the most to me. I’ve read “boring” plots before, but the character was unbelievably interesting, so it was a fantastic read. In contrast, I have yet to come across a “boring” character with an interesting plot that kept me hooked. I have lots of favorites, but I’m going to share four from the genres I’ve been published in, because I love those genres! Young-adult author: Cassandra Clare. I love how she used traditional legends and twisted them together in a unique fashion. I also love Meg Cabot for her paranormal shifts, often risky and definitely entertaining. Poetry: Billy Collins. His language is simple enough for even a beginning poetry reader to understand and feel from, but it remains beautifully honest even to experienced poetry readers. Erin Moure is also one of my favorites, because she’s able to capture the confusion she has while remaining confused herself. She doesn’t force the lesson. She is the lesson. I hate the sounds of someone eating, but I’d say poor phone manners irritates me the most. Reading, of course, but I also love older movies (especially if they have Humphrey Bogart in them. After all, I named my cat, Bogart, for that very reason.) I love traveling, coffee, and food, but I like going for a run if I need to relax from a stressful day. Thank you so much for joining me here today, Shannon. I know my followers will enjoy this spotlight as much as I have conducting it. Good luck on all your future endeavors. Thank you again! If any of your followers are interested in reading Minutes Before Sunset, I can supply a free ebook in exchange for a review. 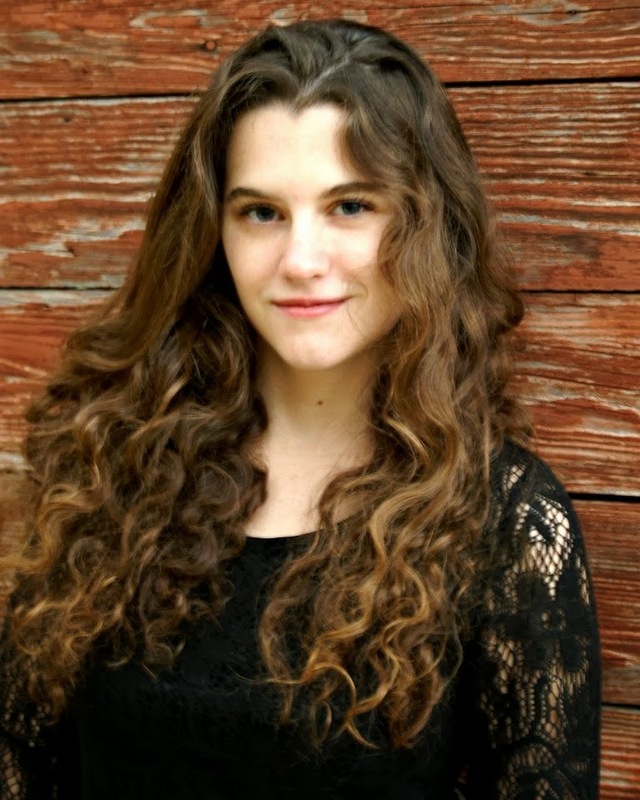 At sixteen years old, Shannon A. Thompson became the published author of "November Snow." At twenty-one, she was featured in "Poems: a collection of works by twelve young Kansas poets." 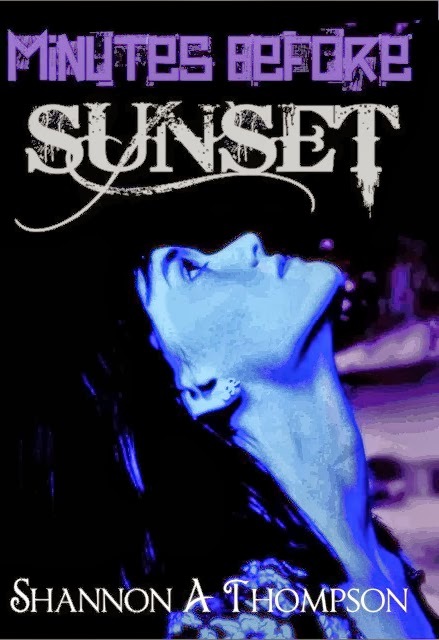 On May 1st, her paranormal romance, "Minutes Before Sunset" was released by AEC Stellar Publishing. It's the first novel in A Timely Death series, and it was awarded Goodreads Book of the Month in July. She's lived in five states and moved over fifteen times, which she uses as inspiration for writing. Shannon dedicates all of her published works to lost loved ones, and she encourages everyone to find their passion. Currently, Shannon is finishing her bachelor's degree in English at the University of Kansas. She's also a Social Media Marketing Manager for AEC Stellar Publishing. Thank you for interviewing me! I had a lovely time. I enjoyed it as well, Shannon! It was my pleasure to have you!